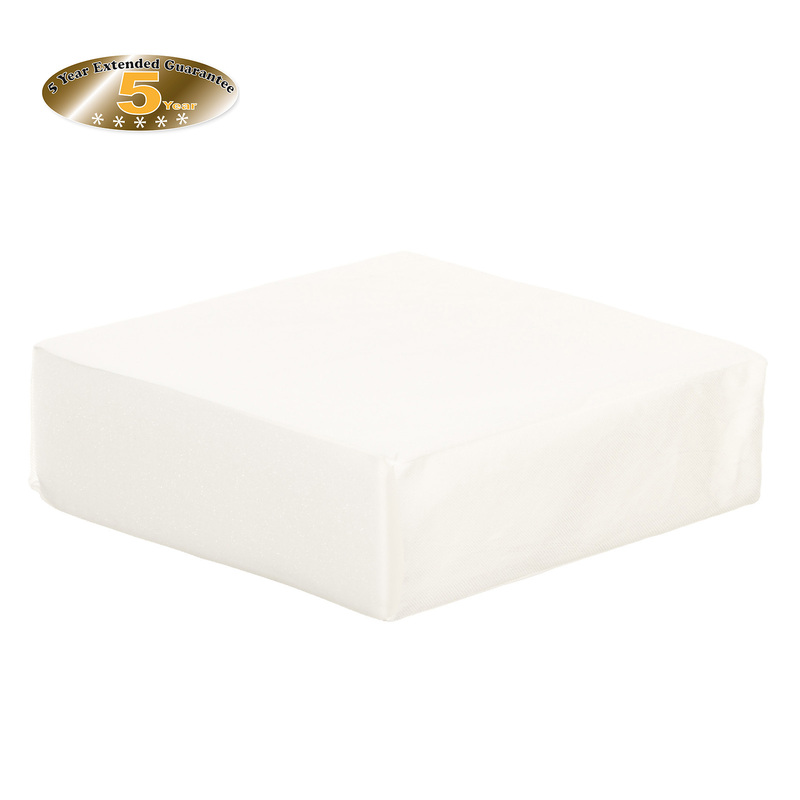 Exclusive to Online4baby & Includes Free Foam Mattress! 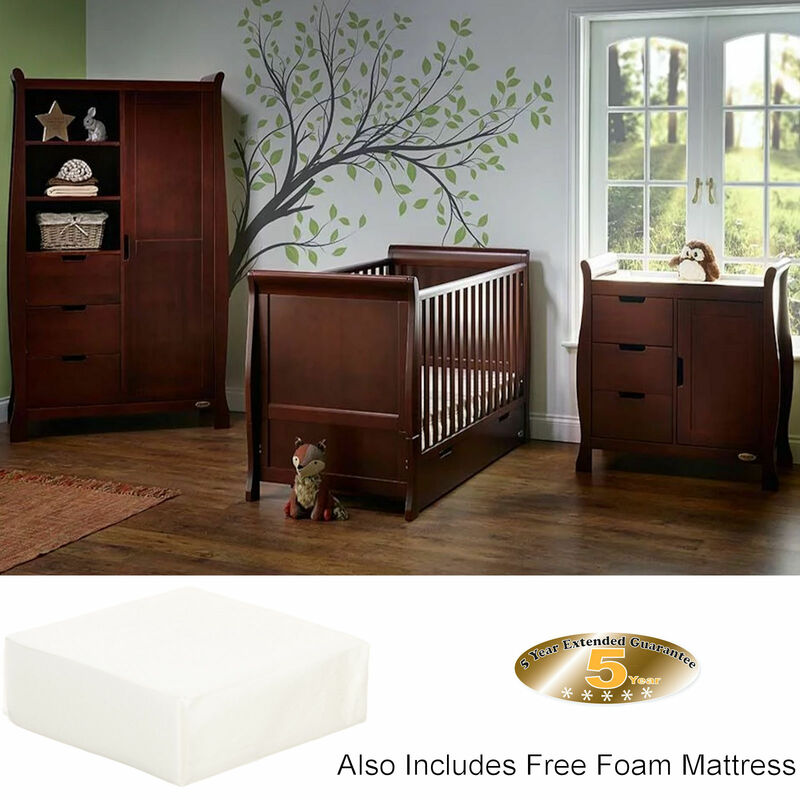 Transform your nursery space by furnishing it in style with the Obaby 3-piece Stamford Sleigh Nursery Room Set. 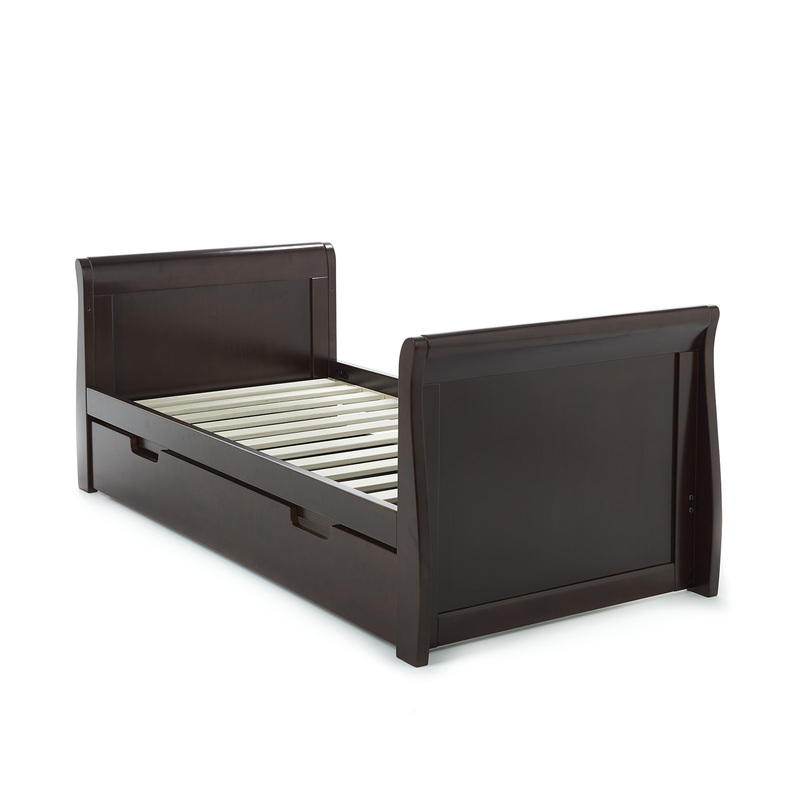 Crafted beautifully from solid wood, the Obaby Stamford Classic Cot Bed is fashioned in the ever-popular sleigh style. Adopting a curved scroll design which is sure to look simply exquisite in your nursery. Also including a matching under-drawer with stylish recessed handles, the Stamford cot bed offers convenient storage solutions for baby’s numerous bedtime belongings. As with all of Obaby’s cot beds, the Stamford offers a choice of 3 mattress base heights, so that when baby is new-born, they can sleep in the cot bed with the base at its highest position thus reducing the extent to which you are forced to bend in order to pick baby up and out of the cot. 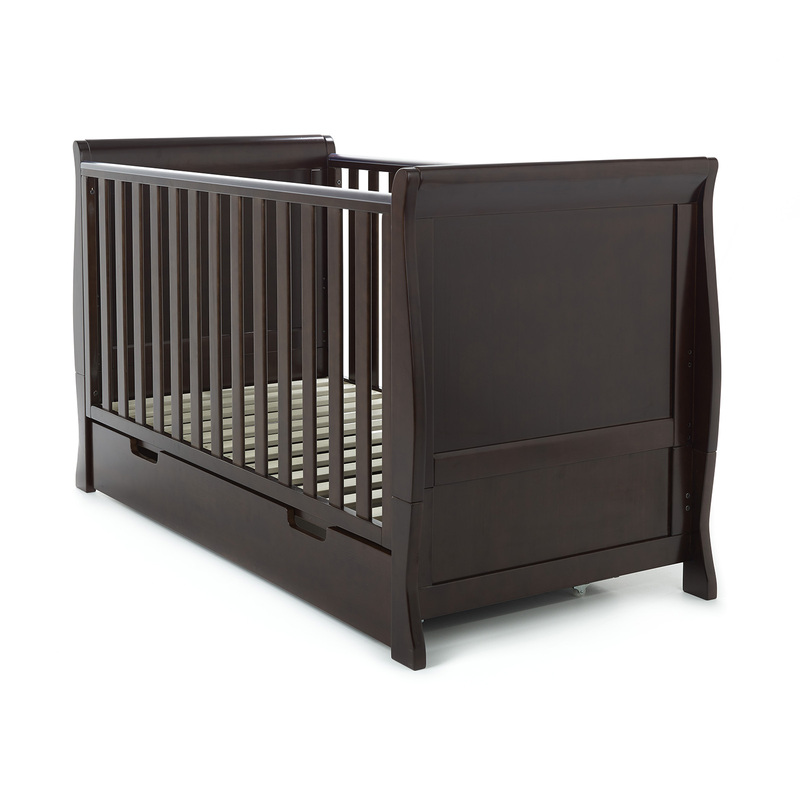 As your child grows and learns to sit and stand, the base of the cot bed can be lowered to ensure that your child remains safely enclosed. When your child grows sufficiently to no longer require 4 built up sides, the Stamford converts easily into a junior bed for use up to approx. 4 years. Exquisitely designed and skilfully crafted from solid wood, the Obaby Stamford Changing Unit is the perfect choice for parents who are searching for a functional addition to their nursery but without compromising on style and elegance. The Stamford changer is comprised of 3 generously sized drawers and a single shelved cupboard to house all of baby’s essential items such as creams, powders, nappies and wipes. The changing station also comes with a cleverly modelled space on top (with raised sides) which is ideally suited to accommodating a changing mat. With sleek recessed handles, subtle scroll design and presented at a height which is both comfortable and convenient for nappy changes, the Stamford changer is sure to work in harmony with your nursery decor. 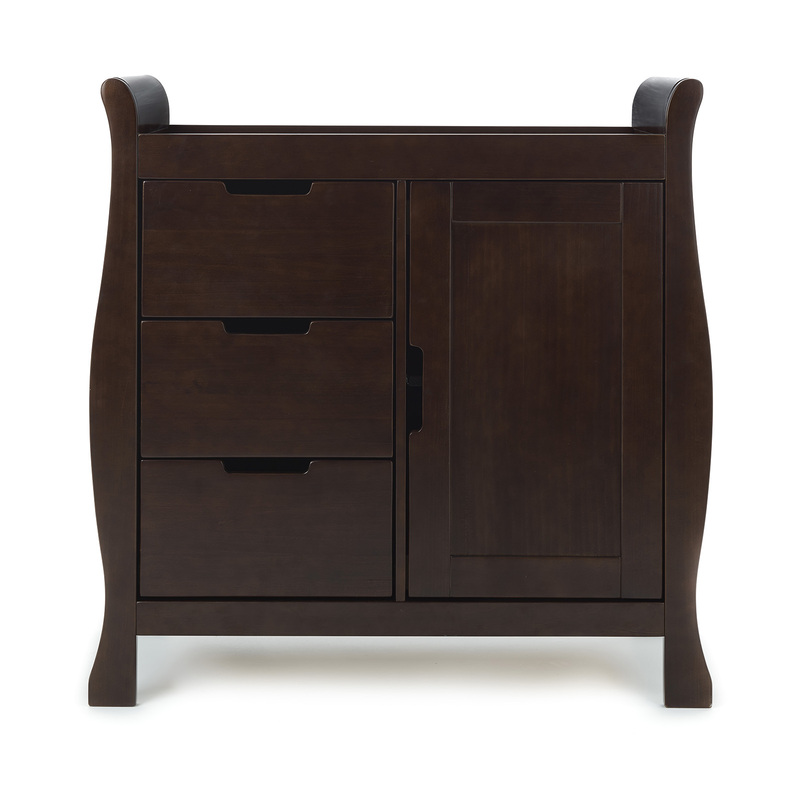 For a chic and elegant addition to your nursery, the Obaby Stamford Wardrobe provides plenty of space-saving storage solutions. 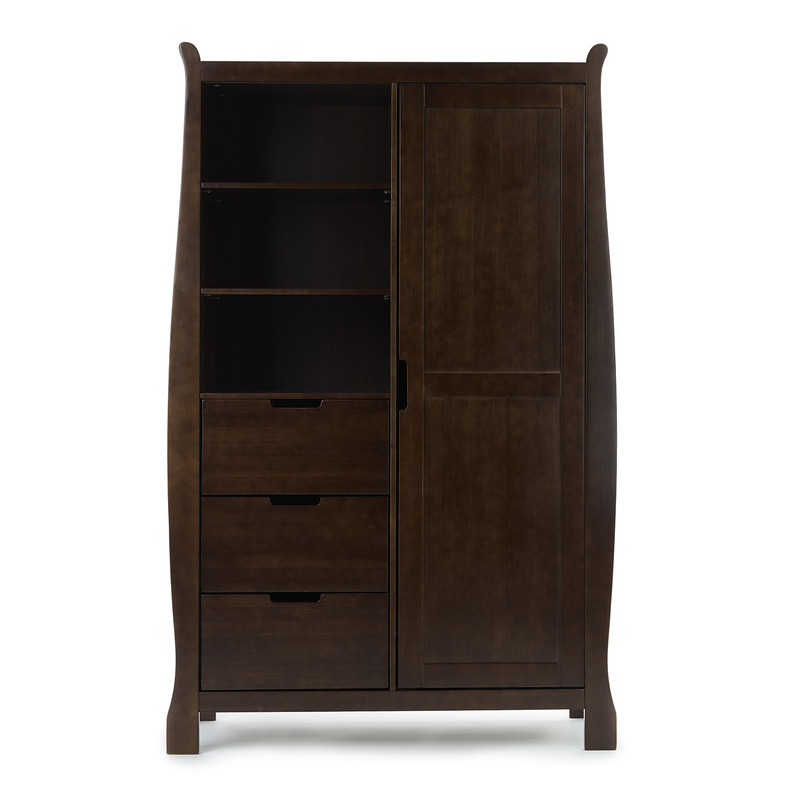 In keeping with the Stamford’s curved scroll design, the wardrobe works in perfect harmony with other pieces from the range but is also beautiful enough in its own right to be used as a standalone piece of nursery furniture. 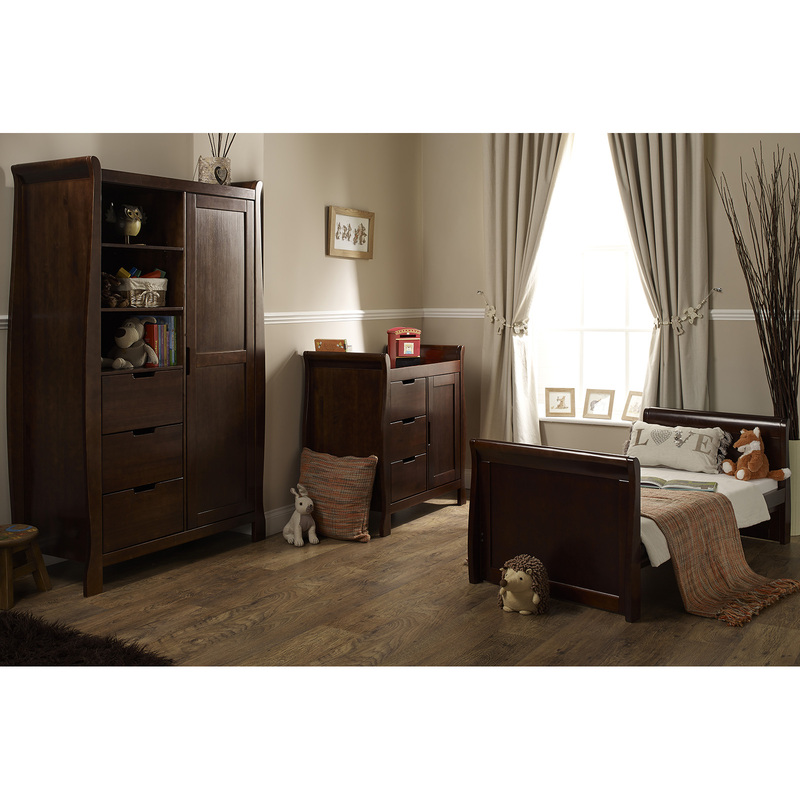 Crafted from solid wood and consisting of three adjustable shelves and three spacious drawers on the left-hand side, while the right side contains one full-length cupboard with two sturdy hanging rails, the Stamford Wardrobe can store all of baby’s clothes and accessories away in style.